Most MTK6577 / MT6577 are advertised with having 4Gb of ROM. Actually it is 4GB of total memory space. This 4GB is shared between the main Android OS partition, the main internal memory where apps are installed and the phone storage. The main internal memory is almost always configured at 503mb and is really too small for installing many apps and will fill up quickly. The phone storage partition is configured to be about 2GB for web downloads, photos and videos plus some space used for cache. Total space is slightly over 2.5GB. Although the MTK657x phones have the option to install the apps into the sdcard, some of us don't like it as we want the option to change sdcards anytime. There is an app on XDA forum which I have download and put it on my 4shared account for you guys to download. This app gives you the choice of changing that smallish 503mb to the whole 2.5GB leaving about 80mb for Phone Storage space. We can then use an sdcard to add extra storage space. Why the phone producers do this is because the low end users can use the phone without adding a sdcard. This app gives you the option to change your internal memory to 1gb, 2gb, 2.5gb or even 3gb if you have an 8gb phone. 2) BACKED UP using CWM recovery. I made a mistake and the phone refused to boot. You might also want to do this on a new phone because you have to factory reset your phone. If you fulfill the 3 conditions, go ahead and install the app. You will have to check 'install from unknown sources' in settings. When you run the app, you can choose 1gb or 2gb or 2.5gb. Don't select 3gb unless you have a 8gb ROM phone and above. After you select your size preference, select 'boot into recovery' and the phone will reboot and send you into CWM recovery and you will need to Factory Reset or data wipe. WARNING: DO NOT DO ANY OTHER WIPES LIKE WIPE CACHE AND WIPE DALVIK CACHE! This will cause your phone to hang during booting up. DO ONLY "WIPE DATA/FACTORY RESET" in CWM recovery and nothing else. Do not factory reset from your Android settings menu or your phone will go into a boot loop. I repeat again, do your factory reset only in cwm recovery menu. Use at your own risk. may i know the reason for not selecting 3GB option on on 4 GB ROM phone? 2.5 GB is max. The rest is used by android os. could u let me know what is the result if selected 3GB on 4 GB phone? eg android os if more than 1 gb then it cant load fully then will brick? I don't think your phone will be bricked. I read that nothing happens. But you are welcome to try and tell me what happens. I will not try it on my own phone. I try 3Gb then i got bootloop, deym, now i don't know how to fix this i try flashing custom roms and it won't still open. any idea? i wish i could repartition it on PC. any reasons for the lag or just my imagination? Not sure why but could be some cache in the phone storage partition. Hi, Greg. Can you post the link to some other free file sharing site? 4Shared is requiring signing in before the file can be downloaded. Thanks. Why don't your register yourself in? 4shared has a lot of apk files for free. Yeah, eventually I just had to register to download that file. - Serious Battery Drain issue. I already calibrated by battery using the Nema Battery Calibration from the Playstore, but to no avail. My battery reading went from 100% to 47% in just 12 hours, despite not using it for gaming, etc. How to I return the unit back to its stock, factory setting of 500MB Phone Memory? Do I use the same procedure again? Thanks. Hi, I am not the writer of this software so I can't give you that tech support. It works on my phone and that's it. Please look for your solution on xda forum because this software is from there. I do not know of any way to revert back to your original config. Can I pull the battery off? Ohh, I thought it died. Fortunately I had a backup from CWM! After the battery pulled out and put it back, I gone into the CWM recovery and restored all the data. After restoring I have restarted and boot was ok. So people if you do not want to make brick phone, first DO a backup in CWM. Very important!! Anyway thanks for the app and the article Greg! I also have the MAGE, but don't know how to root it. Can you help me out? Thank you! I will try to do a new video on how to root the phone this weekend. I'm from Bangladesh. I have Micromax A-90 (single core processor and MTk-6575 phone ). Would your described procedure help me? Previously "http://dl.xda-developers.com/attachdl/8c59c347dd7aeb95cc269e7df46a76c7/50dbf8a9/1/4/6/9/2/7/7/New_repart.zip" made my phone completely DEAD !! your "Mt657xRepartition_EN.apk" leads to be DEAD for my mmx a-90. Pls, advice what to do? Use cwm recovery to restore your phone. Item 3 says to backup your phone. Make sure you have cwm recovery before you try this. Many phones will go into a boot loop and you will need cwm recovery to restore your ROM. Just download this app and install it and run it. Select your partition size then reboot into cwm recovery and wipe data/factory reset and reboot. If your phone goes into a boot loop, enter cwm recovery again and do a restore. When you boot into android you should have the new bigger partition. Note, if you don't have cwm recovery then you can't do this on your phone. I tried this, but I'm stuck at the boot logo!! I have the HDC Mage with 8GB. In the app I choose a 2,5GB partition, so I should be safe, then booted into Recovery and did a factory wipe.. since then I'm stuck at boot logo. I made backup from CWM before I started but I'm unable to restore it since it says E:Can't mount /sdcard. If I do a advanced restore I get E:Can't mount /emmc.. what to do?!? I am not sure why you get that error. You just need to get hold of a stock original MAGE rom and reflash the whole rom to revive the phone. Hi Greg, thank you for your reply! I made a backup with MTK Droid Root & Tools, also I have the CWM backup because I copied that to my laptop before running Mtk657xRepartion. How do I reflash the whole rom? I have a scatter file aswell. There is no Mage version with 8 GB onboard, it is only faked in software to look like that. In fact, most if not all 6577 phones have 2.5gb available. And sd-ext does not mean external sd card, only a portion of a normal sd card formatted in ext file system which is a linus type. YES, I managed to revive the phone by using the files created by MTK droid while modifying the recovery to CWM. But now I'm still stuck with a 500mb app partition. For now I'm going to look for other ways to achieve this. Maybe you have some tips? I see in CWM also a repartion SD function. Any idea what this does, and if it would work on our phones (HDC Mage)? Did you read all the previous comments? Just do as described then when it goes into a boot loop, just restore your backup. You need to do the CWM backup with a properly formatted micro SD card (FAT32 format). Before you attempt that, use your phone to format the SD card. hei, can i do this without CWM? i already rooted my phone (zyrex za987) but it did not use any CWM. in fact there is no CWM rec for this device for a while. any help?? If you do it without CWM and it goes into a bootloop, you can use your phone as a paperweight. Or have the original rom ready to re-flash so if it goes into a bootloop, you can flash the original rom back. I think this is the only way. Looks like 90% of users go into a bootloop after performing this operation. my phone turned into black screen...i have backups but it didn't fix the problem..what can i do? dre i also have a problem when using this..
then i rooted the phone on ICS Android..
and i used an MTK re-partitioning software ..But as soon as re-partitioned and selected to reboot to recovery my phone died ..
it just died no led no nothing..
is there any way to transfer recovery and format the partition which i made with any tool or anything ? Please search the intnet for the factory installed ROM for your phone first, then use Flash tool to flash the ROM back in. Remember you can only use the official ROM made for your phone. Can someone help explain this to me. I have a ALPS N7300 with an MTK6577 and it is advertised as having 8GB of internal memmory, I too discovered a 512MB partition for apps and have used this APK to successfully adjust it to 2.5GB, so thank you very much. I have 1 problem and a question though. My problem is I get an error when I try to install things from the play store "Error while retrieving information from server [RPC:S-5:AEC-0]" if I persist and click OK and retry and get the error 4 or 5 times it eventually lets me through and I can install things so it is not a show stopper, just thought I would mention it, online it seems to suggest that the error is generated by problems with the storage on the device though I could google up nothing conclusive. My question is this, if I have 8GB of internal memmory, and for example I use a 2.5GB partition for /data and the ROM for the phone is less than 400mb, and I allow lets say 512mb for cache, there is still more than 4GB of storage that is missing and they say its for Android but android does not have a 5GB+ footprint, unless I am missing something and there is 4GB of tools stored on my device and locked off from access, which I doubt, can someone help fill me in on this? in qmobile Noir A6 internal storage is patitioned just as you mentioned..
of internal memory... and creae a simple single partition of 3GB. worked good but after installing lots of software and games the system has gotten sluggish and freezes even after uninstalling everything so I go to try and revert back to a different rom and the partition stays at 1gb and the rom goes from ics to ginger bread 2.3.6 but all the previous programs are still installed and even the wallpaper stays the same as the previous rom, even with the original rom. how can i go back to original partition size? hmmmm.. will this work on jelly bean??? i followed your instructions, now i have 2gb internal memory. but why cant i access my sd card and phone memory on file manager? will this work on "MT6577" whats the difference between "mtk" and "mt"??? I find this process maddening. Just wish the Phone didn't have an internal storage limit comparable to computers from 20 years ago. I've gone through a good chunk of a 64 page forum on trying to install the CWM on this thing and I'm confused. The ONLY thing I need to know is how to get this CWM recovery on here so I don't apparently wreck my phone? Hey guys... Ive done a terrible mistake and i am lookin weeks now how to revive my phone. I am in serious trouble. I am having a mt6575 s4 clone. Which have internal storage 503 mb and phone storage 2.06 GB. My phone is rooted and by MTKdroidtools i have made two backup also in my laptop (plus clockworkmod backup in sd card). Hi sir.. i done this on my CM razor.. and something went wrong.. i think i selected the 3gb.. only logo apearingon my phone.. what should i do?? Very helpful guide . Thank you Greg. Hello Greg, will this work on Cherry Mobile Cosmos X2 that uses the MTK6589 ? On my mtk 675, 1.5 gb of internal sd memory has dissappeared!! its now left with 500 mb. after this process my phone was bricked, but i somehow managed to revive it, but was shocked to see the shortened memory!! i foolowed the exact steps, pls help!! I made a CWM recovery using the MtkDroidTool and then used this apk to make a 2gb partition on a new ZTE V889S without any problems. I'm using lava iris 405 Original Memory details was as 755mb system, 500+ mb internal & 1.78 GB Phone memory but after running given processes I found onli 503mb system & not returning my original rom now m using costom rom how to revert system partition as 700+ mb ? Hi Greg, the 4share file it's not there, maybe was deleted. It's possible for you to load it in another service or 4share newly. Hey man I've lost the external sd card and phone storage... I've got the Medion E4002 and reformated to 2.5GB, I've now got 2.45GB Internal Storage but my sd card(s) won't mount. Any ideas? This is an interesting blog that you have posted, you shares a lot of things.. Valuable information and i really appreciate your work. 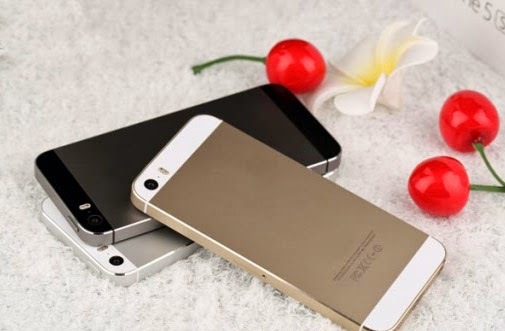 Nice blog and very nice information about the i phone series i really like that phones. Such an amazing blog about the cell phone i really appreciate your work. Really very interesting and very beautiful information about the cell phone which i really like it thank you. I visited your blog for the first time and i like all your information about the cell phone app well done keep it up. Thank you for sharing this wonderful and amazing blog about the iPhone 7 Cases which i really like it well done. Iphone 7, is it really water proff? Really you blog have very interesting and very valuable information about the mobile app security nice blog. It's amazing and very interesting information about the church app and i really like it. Super blog and your presenting style about the ipad speaker that's are very appreciated good work. We have an experienced technicians which provide a best Mcafee retail card activate. If you have any issues to install and download Mcafee retail card etc then you can call our toll free helpline number 1888-490-6675. They will solve your problem on your pc with minimum time taking by experienced technicians. I really loved reading your blog about the mobiles specially i phone well done keep it up. I search many blog about the Chinese smartphone but did not get many specific detail about the this topic but your blog have allot of information about my topic which I always searching. Most valuable and fantastic blog I really appreciate your work which you have done about the iphone repair,many thanks and keep it up. I wanted to thank you for this great read about the mobiles and I definitely enjoying every little bit of it.I have you bookmarked to check out new stuff you post. Valuable information in your blog and I really appreciate your work and keep it up dude I really very informative blog about the Mobile software. Thanks for sharing this awesome post. I m very pleased to read this article. Such an amazing blog about the software phones and I really appreciate you work which you have done well.